These beautiful wristwatches were issued to RAF navigators and pilots during the Second World War. 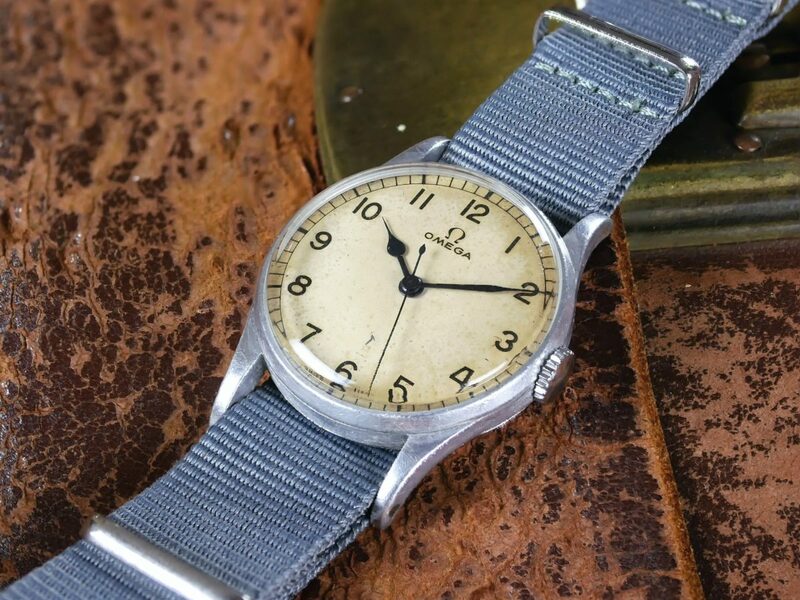 RAF watches from this period were supplied by a number of prestigious watch manufacturers including Longines, Jaeger Le-Coultre and Omega. 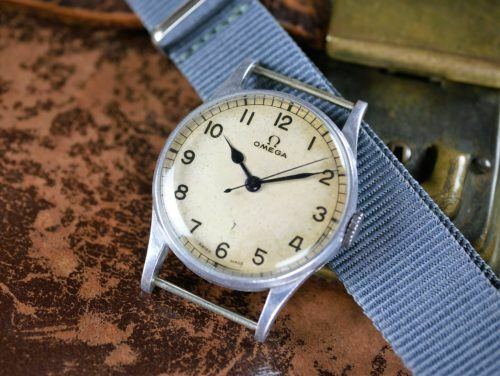 All these watches followed a standard specification which included a white dial with black arabic numerals, centre seconds and blued steel non-luminous hands. These watches are commonly referred to by their RAF stores reference number of 6B/159. 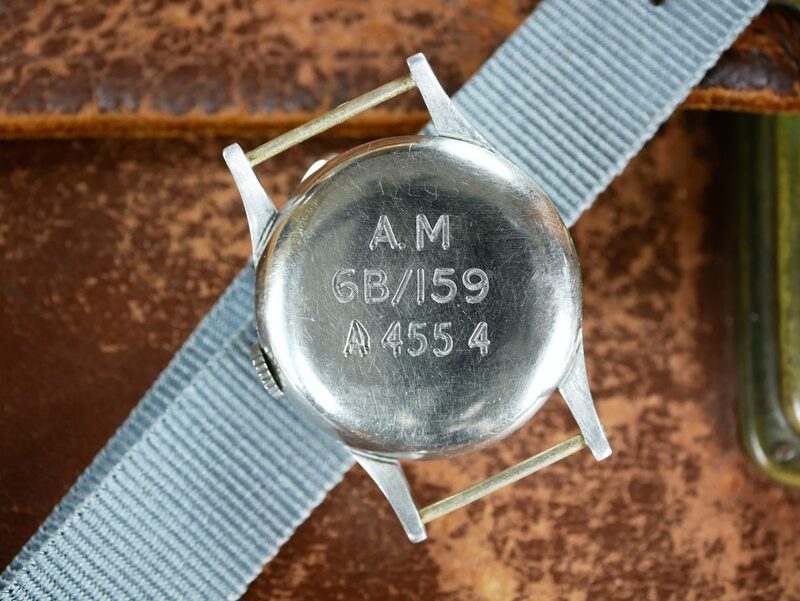 This RAF stores reference refers to aircraft navigation equipment. 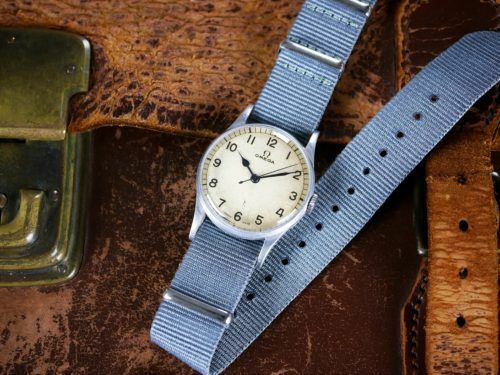 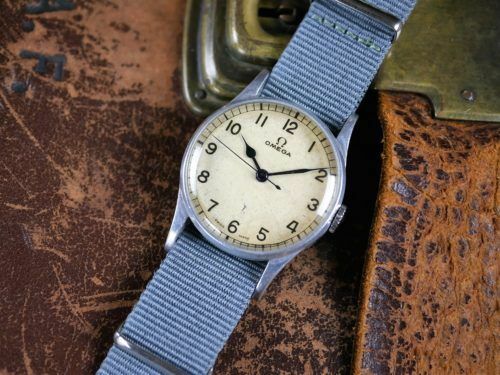 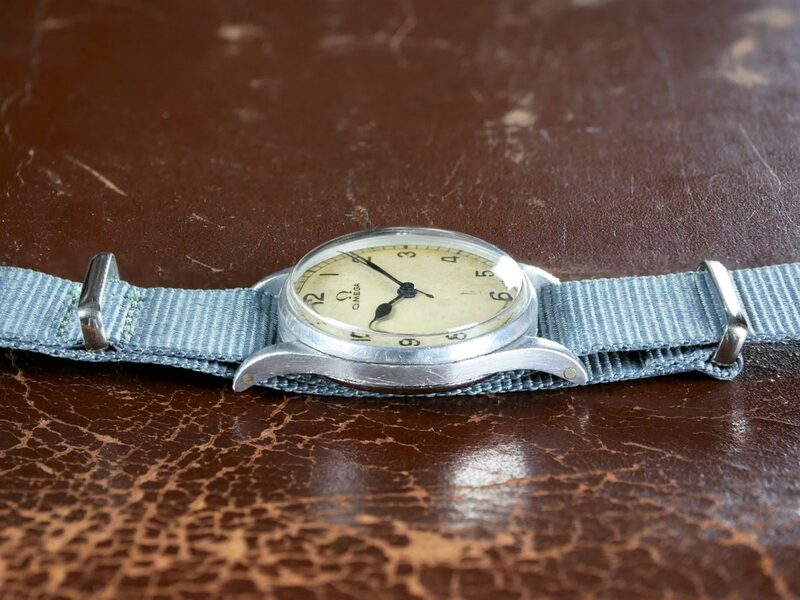 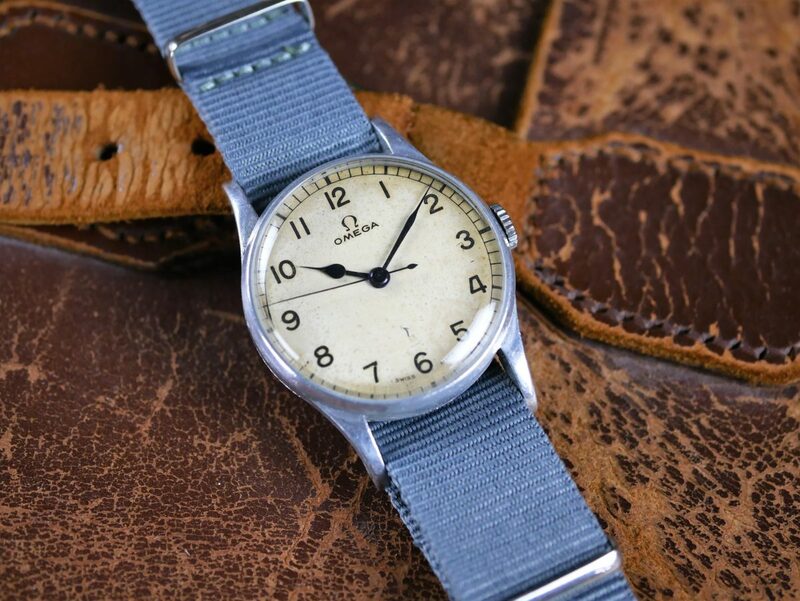 The beautiful Omega 6B/159 watch for sale is all original and was produced around 1943 at the heart of WW2. 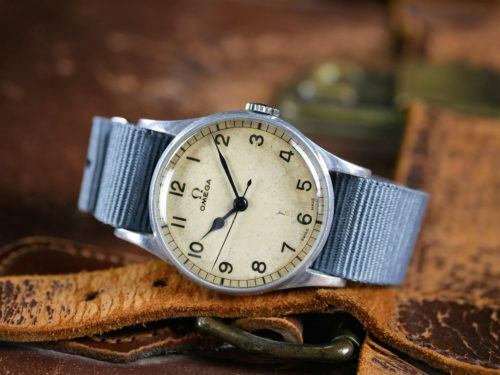 The wonderful Omega 6B/159 for sale represents an excellent opportunity to acquire a superb piece of British WW2 aviation history. The Omega 6B/159 for sale is in excellent original condition. 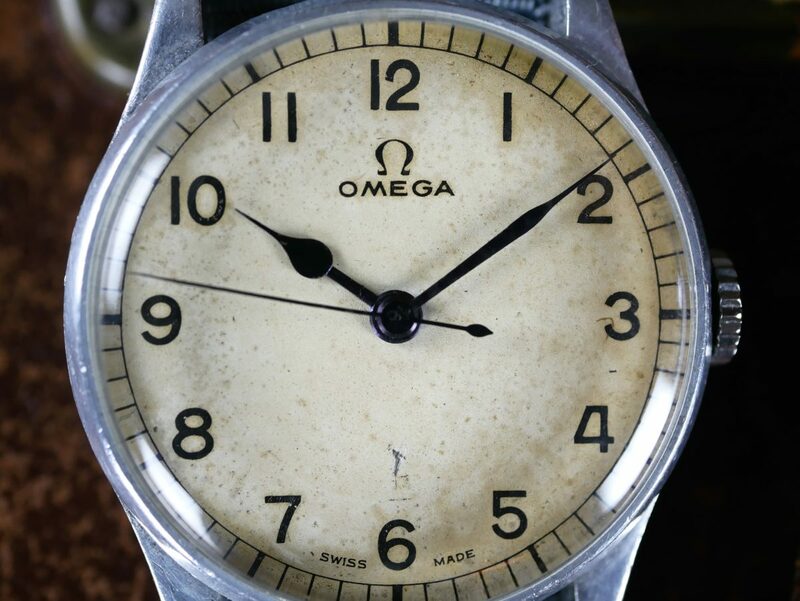 The original factory dial has aged beautifully and is in very good condition. There are a few very minor scratches and blemishes to the dial in places. 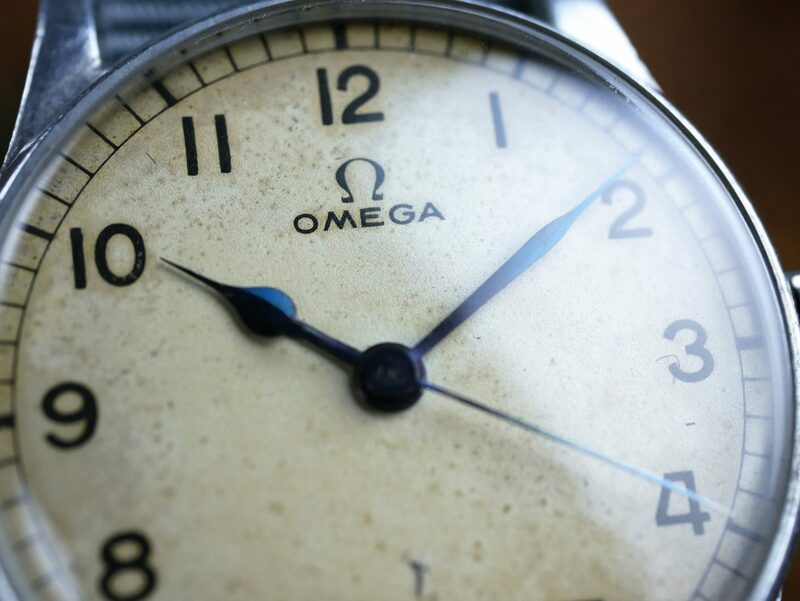 The beautiful blue steel hands and crown are all correct to the original specification of the Omega 6B/159 watch. The chromed alloy mid case is in wonderful condition with numerous scratches and marks commensurate with age. 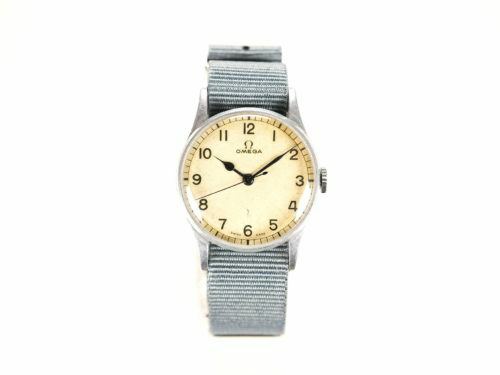 The stainless steel case back has all the usual RAF issue markings. 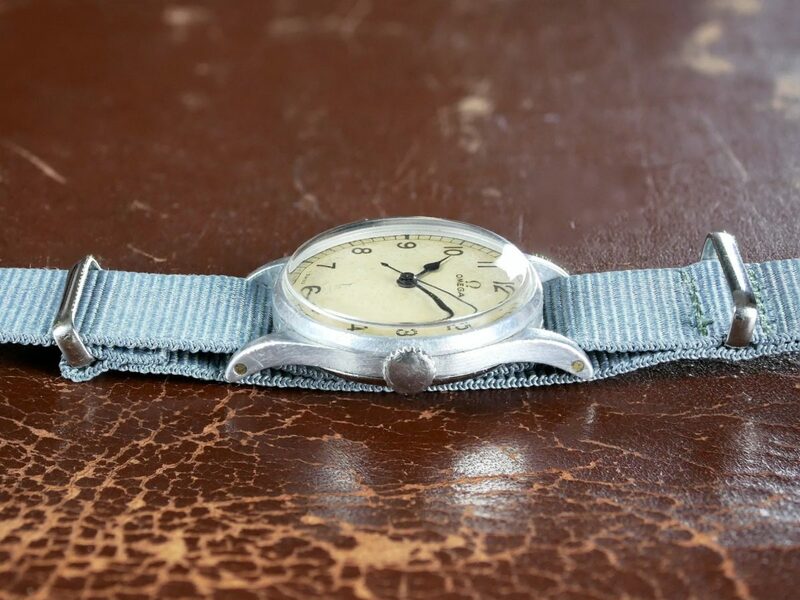 The beautiful 30T2 SC is all correct and is in excellent condition and is currently running well and keeping good time. 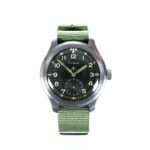 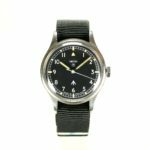 The watch comes complete with a free six-month warranty, a newly fitted NATO strap and quality hand-made leather watch pouch.